Seattle’s Franklin High School graduate, Jason Terry, who plays for the Houston Rockets, is selling his luxurious residence! Pssssst! Did you catch the news? 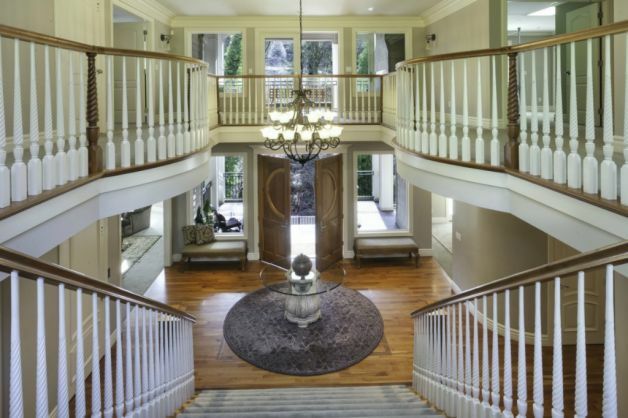 The elegant home is sited on Mercer Island, just across Lake Washington from Seattle. According to the Seattle P.I. article, it is on the market for $2.4m. It features all the usual bells and whistles one would expect in an elegant home, such a media/theatre and such. I’m delighted to see that a Seattle Home Boy had a residence of this caliber right in our midst and that he was true to his community roots. No details where he’s moving or why as yet. It’s being represented by Sothebys. Now I’m curious as ever to peek at the inside! I’ll be checking to see what the touring instructions are going to be in the listing.